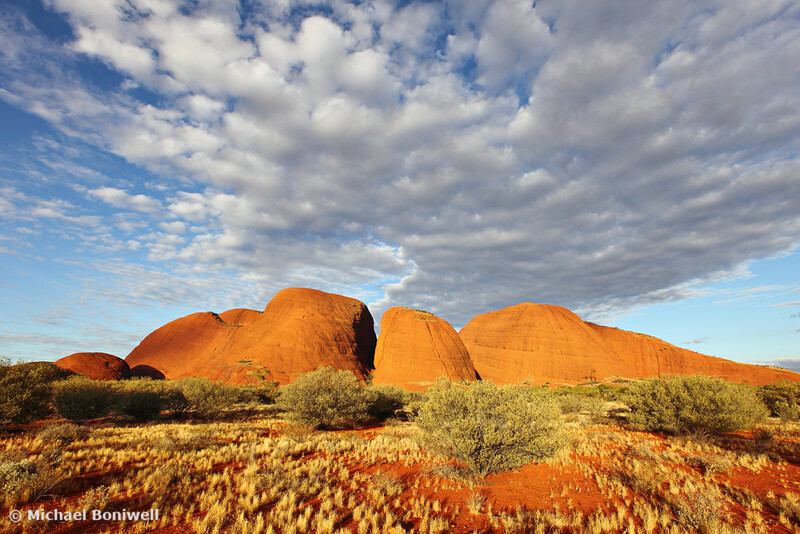 Kata Tjuta (or "The Olgas") is only 50kms from Yulara and that icon of the Australian outback Uluru. It's definitely worth a visit, particularly for those who have already made the effort to travel to Uluru. It has two good walks, including a 3 hr trek that takes you through "The Valley of the Winds", winding between the massive mounds of the Olgas themselves. 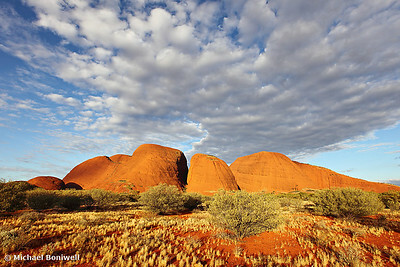 "Kata Tjuta", meaning "many heads", comprises 30 or so massive conglomerate rocks rising out of the otherwise flat desert. The highest is called Mount Olga at 457 meters. At sunset, if direct light touches the rock, the Olgas take on an amazingly intense red-orange glow. During the first light of dawn the range, as seen from a distance, is coloured by a diffuse pinkish hue that makes the rocks themselves look almost painted on, so lightly are they textured.